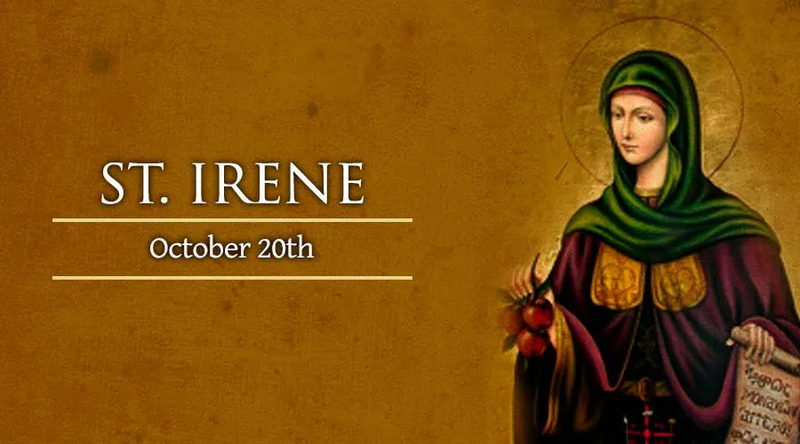 St. Irene was a Portuguese nun who was martyred in defense of her chastity in the year 653. Saint Irene’s body was miraculously recovered after being thrown into the river. She was canonized as a Catholic saint because of the great amount of miracles that occured at her tomb. Her shrine, the “Santarem,” has played a key role for the great quality and beauty of the Catholic Faith that the Portuguese people have lived, even until today.